Our winery facility is nestled within our vineyards. From mid-September thru the end of October is our grape harvest time, when you can watch us hand picking the grapes, sorting, destemming, crushing, pressing, fermenting, punching down, and racking. This is when the “Soil to glass transfer” takes place, transferring the terroir of our vineyard into the beauty of the wine in your glass; expressing the essence of our vineyard’s being in the wines we make. Our winemaking philosophy is very minimalist and old-world – letting the grapes express themselves in a varietally correct manner. Our philosophy of careful attention to detail and the quality of the fruit in our wine is born in the vineyard. Careful selection of site, soils, elevation, and exposure combined with the individual attention only possible in a small estate vineyard, enable the production of our outstanding wines. Our wine is not rushed through the winemaking process. Instead, we employ a slow and gentle approach to create more individually styled wines. We have recently acquired the latest in winemaking technology, the Oenofoss made by Foss which allows for quality control testing. For more information on this state of the art equipment contact Wally Maurer at 269-473-9463. Occasionally, we have used wine barrels for sale! For more information call Wally at 269-473-9463. Domaine Berrien Cellars was the first winery in Michigan to grow and vinify Syrah. 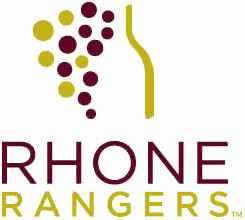 The only Michigan member of the Rhone Rangers, we also grow and vinify several other Rhone varietals, such as Viognier, Marsanne, and Roussanne. Our farm is Environmentally Certified by the Michigan Agriculture Environmental Assurance Program (MAEAP).